James De Norscia is an accomplished trial attorney, who specializes in personal injury and product liability. 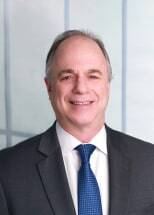 Jim has extensive experience in the State and Federal trial and appellate courts of New York and New Jersey with proven success in complex, high profile cases. He has also argued appeals in the United States Second Circuit Court of Appeals. Based on his extensive trial experience, the Supreme Court of New Jersey has certified Jim as a Civil Trial Attorney. Prior to joining Marder, Eskensen & Nass, Jim represented clients injured by someone’s negligence and large international corporations, including Fortune 500 companies. Jim also represented major wall street brokerage firms in securities arbitrations before the National Association of Securities Dealers, the New York Stock Exchange and the American Stock Exchange. Prior to practicing law he was employed by J.P. Morgan-Chase as an operational analyst and registered securities representative. He is admitted to practice in New Jersey, New York and the United States District Courts for the District of New Jersey and the Southern and Eastern Districts of New York. He earned his J.D. degree from Seton Hall University School of Law and, while attending law school, litigated cases as a practicing student attorney in the school’s Legal Services Clinic representing indigent residents of Essex County. He also graduated from the Seton Hall University School of Law Inn of Court. He received a B.A. degree in political science and an MBA degree from Fairleigh Dickinson University. Jim is a member of the New Jersey State and New York State Bar Associations. His proven success as a litigator and trial attorney has resulted in several published and unpublished opinions issued from the State and Federal appellate courts of New York and New Jersey. Recently, Jim was the lead defense attorney in the well-publicized case involving a 2007 escalator collapse at the former Giants Stadium. He also represents clients in Municipal Court matters, including DWI. Jim is very dedicated to his clients, who he recognizes have their respective individual needs and goals. Jim consistently strives to obtain the optimum result for all his clients. Regardless of the size of the client or the scope of the case, Jim’s objective is to provide the highest quality legal representation with prompt, personal service at a reasonable cost. Jim believes strongly in community involvement. Over the years he has dedicated his time volunteering as a Board Member and coach for his town’s baseball and hockey travel club teams, including the local baseball team for physically and mentally challenged youths. Jim has also volunteered his time as a Judge for the Seton Hall Law School Appellate Advocacy and District High School Moot Trial Programs.